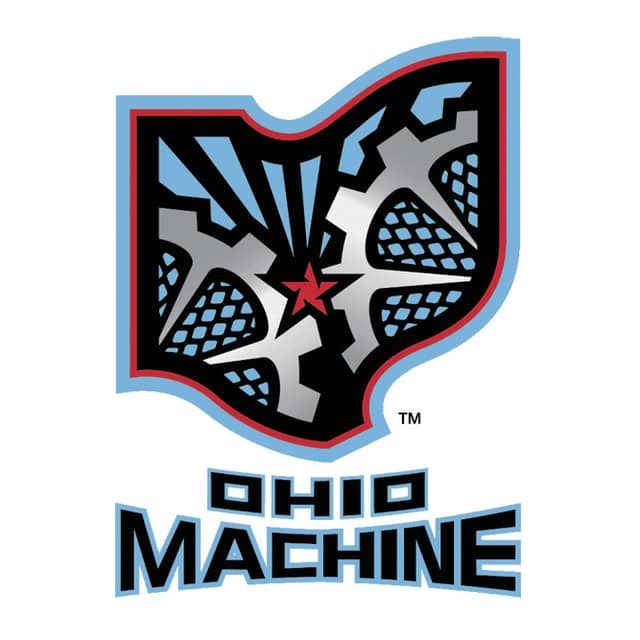 Jake Bernhardt poured in three fourth-quarter goals and Marcus Holman added a first-half hat trick as the Ohio Machine edged out the host Hounds 14-12 Friday in Charlotte. The Machine (5-3) extended its winning streak to four games and currently sits in second place in the league while Charlotte sits at 1-7 after the loss. Playing without All-Star Peter Baum for the third straight game, the Machine offense was slow to start before kicking into full gear in the second half. After a back-and-forth first half that produced six different ties, Charlotte took the lead with less than five seconds to go in the half as defenseman Henry Lobb fired in a two-point goal to make it 9-7. The Hounds jumped out to a quick 2-0 lead with two goals getting past Brian Phipps before one minute was off the clock in the first quarter. However, the Machine came firing back. Led by its six all-star selections, which is second to New York for most players selected from a team, Ohio was relentless in matching Charlotte goal for goal. Holman led the charge on the offensive end after finding the back of the net three times for a hat trick before half’s end. The Hounds opened the second half by pulling away with a three-goal lead while holding the Machine scoreless for over twelve minutes before Kevin Cooper started the comeback at the 7:43 mark. From there, Jimmy Daily and Kyle Harrison tied the game at 10 before the end of the third quarter. The fourth quarter was then taken over by Bernhardt, who scored three goals over the span over 15 minutes to allow the Machine to escape with the victory and keep the win streak rolling. With the win, the Machine improved to 3-2 in road games so far this season. The series between Ohio and Charlotte, both teams part of the Major League Lacrosse expansion in 2012, has been a pretty even one with the Hounds having the slight edge, 4-3. While the Machine will not be in action next weekend, Peter Baum, Kyle Harrison, Marcus Holman, Brian Karalunas, Tom Schreiber and Dana Wilber will be as they have been selected to compete in the 2015 MLL All-Star Game. Ohio returns to action when the Machine takes on the Chesapeake Bayhawks at Selby Stadium on June 20 at 7 p.m.